The main difference between lentils and pulses is that lentils are a type of pulses with lens-shaped seeds whereas pulses are the edible seeds of legumes. Furthermore, lentils include red lentils, green lentils, Puy lentils, etc. while pulses also include dried peas, chickpeas, and dried beans. Lentils and pulses are two types of edible seeds which grow inside pods. Moreover, they contain a higher amount of proteins and fiber. However, they contain a lower amount of fat. In general, legumes are grown primarily for human consumption. Lentils are a type of small, flat-disk-like seeds, which are edible. However, they have different sizes and colors. Generally, lentils come to the market in the dried form. Also, they can be sold in different forms: with or without seed coat, as a whole, split or polished. Significantly, due to the higher amounts of proteins present in lentils, they are a great substitute for meat. Also, they are rich in vitamin A, B, and calcium. Furthermore, brown lentils and green lentils are the two main varieties of lentils. They come to the market with the seed coat, and their inside is yellow in color. Also, Puy lentils and French green lentils come with a strong flavor. Other types of lentils like red lentils and Egyptian lentils have a small, rounded shape and are sold without the seed coat. Moreover, South Asian cuisine uses dehulled, split lentils known as dal. Dal is important as a dietary staple usually eaten with rice or roti. Also, lentils can be used as the base for salads or simmered into soups. Pulses are the dried, edible seeds of legume plants where 1-12 grains with occur inside a pod. 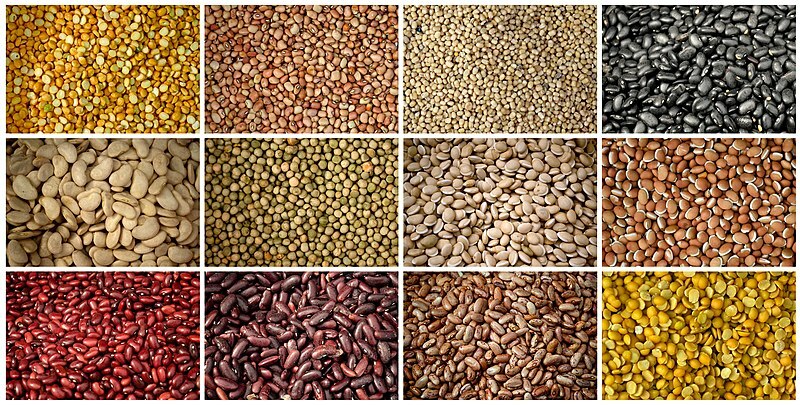 These seeds can be of different sizes, shapes, colors, and flavors. Also, their nutritional value may differ with the species. However, collectively, pulses have different health benefits when compared to that of legumes. They are significantly rich in proteins and fiber. Also, they contain a lower amount of fat. The main types of pulses are dried beans, lentils, split peas, and chickpeas. In addition to being food, pulses are good for the environment as well. Since they are a type of legumes, they are nitrogen-fixing crops that convert atmospheric nitrogen into forms of nitrogen in the soil in a process called nitrogen fixation. This makes nitrogen available for the use of other organisms as well. Therefore, pulses lower the requirement of nitrogen-containing fertilizers, improving the environmental sustainability, especially in annual crop systems. Lentils and pulses are two types of edible seeds of legumes. Both grow inside pods of the annual plants of the family Fabaceae. Also, both can be found in different sizes, shapes, and colors. Besides, both are in dried form; therefore, they have to be soaked and cooked prior to eating. Furthermore, both are rich in proteins and fiber. They contain a lower amount of fat. Moreover, they are grown for human consumption as well as for livestock forage and silage, and as soil-enhancing green manure. Lentils refer to a widely cultivated, flattened edible, dried seeds of the Eurasian annual leguminous plant (Lens culinaris) whose leafy stalks used as fodder while pulses refer to the edible seeds of plants in the legume family. Thus, this is the main difference between lentils and pulses. While lentils are a type of pulses, pulses are dried, edible seeds of legumes. This is a major difference between lentils and pulses. Lens culinaris or Lens esculenta are annual plants that produce lentils while the plants in the family Fabaceae (or Leguminosae) produce legumes. 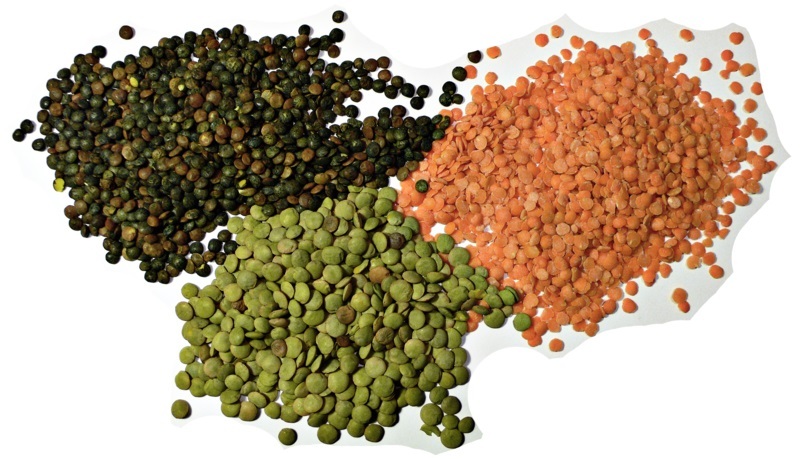 Brown lentils, green lentils, red lentils, yellow lentils, and black lentils are several types of lentils while lentils, dried beans and peas, and chickpeas are the main types of pulses. 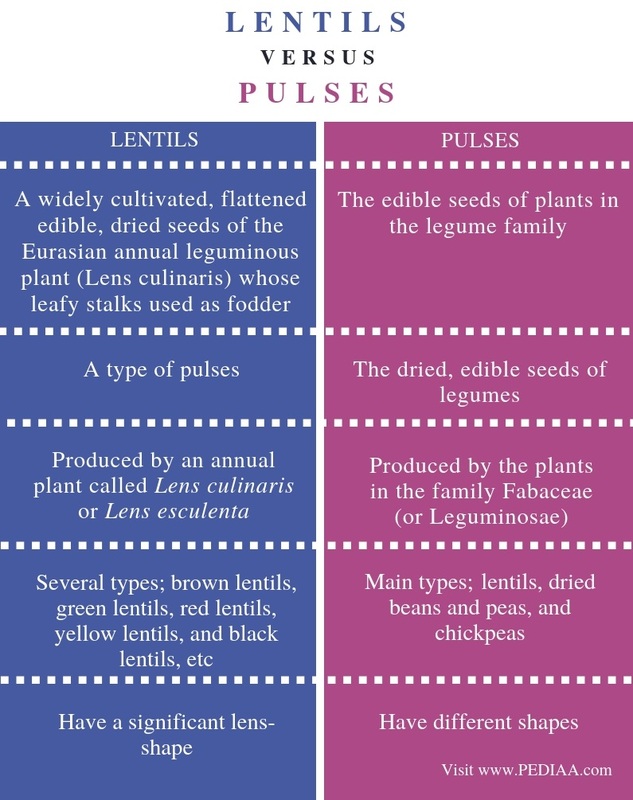 Moreover, lentils have a significant lens-shape while pulses have different shapes. Hence, this is another difference between lentils and pulses. Lentils are a type of edible seeds with a characteristic lens-shape in their seeds. Red lentils, yellow lentils, green lentils, and brown lentils are some types of lentils. On the other hand, pulses are the edible, dried seeds of legumes. They include lentils, dried beans and pea, and chickpea. Both lentils and pulses grow inside pods. Significantly, they are rich in protein and fiber. However, the main difference between lentils and pulses is their correspondence and shape.